Honor 9i smartphone with four cameras and a 5.9-inch FullView display has been launched in the Indian market. 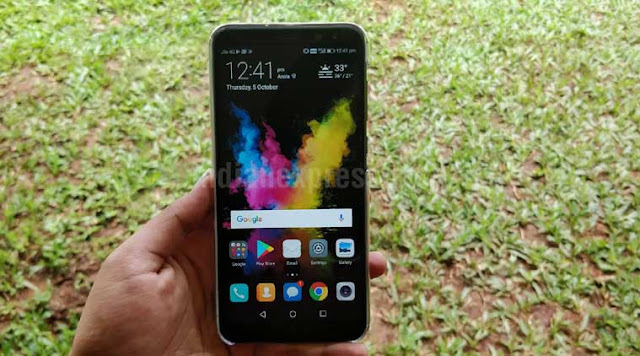 The new phone is identical to the Huawei Maimang 6, launched in China last month, and the Huawei Nova 2i that was launched earlier this month in Malaysia. The new Honor 9iprice in India is Rs. 17,999, and the handset will be available exclusively on Flipkart starting October 14. It will be available in three colours: Platinum Gold, Navy Blue, and Midnight Black. 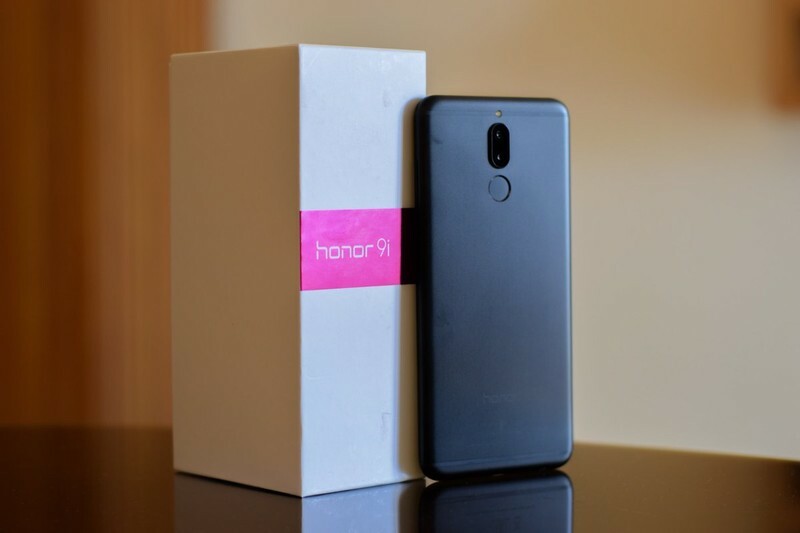 Honor 9i launch offers will be revealed on the release date only. The Huawei owned-brand also launched the 10000mAh Quick Charge Power Bank, priced at Rs 2.399. 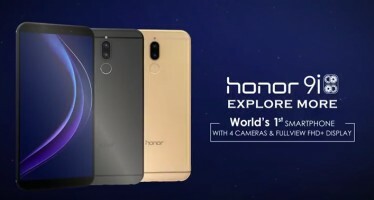 It will be available via the Honor online store for India, with a Diwali offer till October 28 that makes it available at a discounted price of Rs. 1,999. Following the current trend, the new Honor 9i features a FullView display which is a highlight of the device. It comes with an 18:9 aspect ratio. Another highlight of the Honor 9i is it sports four cameras: two at the front and two at the back. Dual cameras on both panels mean that the handset is capable of clicking Bokeh shots and portraits. Much like Huawei 8 Pro, the new Honor 9i also lets users readjust the focus after the photo has been shot while also allows to choose different Bokeh effects. The company adds that the Honor 9i features the 'Huawei Histen audio system' from its 2012 Lab, algorithmically enhancing sound output. Honor is also highlighting Bluetooth aptX support. The handset also comes with some gesture-based shortcuts like 'draw an S' for a long screenshot to capture an entire webpage; 'tap twice with one finger' for a screenshot, and 'tap twice with two fingers' for screen recording. For specifications, the Honor 9i sports a 5.9-inch full-HD display, and comes with metal unibody design. It features a screen resolution of 1080x2160 pixels (FHD+) and comes with a screen to body ratio of 83 percent. At the front, it sports a 13-megapixel sensor accompanied by a 2-megapixel sensor for depth of field enabled shots. At the back, there's a 16-megapixel primary sensor clubbed with a 2-megapixel secondary sensor. An octa-core Kirin 659 processor powers the handset clocked at 2.36GHz coupled with 4GB of RAM and 64GB of storage. It runs on EMUI 5.1 based on Android 7.0 Nougat. The handset is backed by a 3340mAh battery which the company claims can deliver up to two days of standby time.